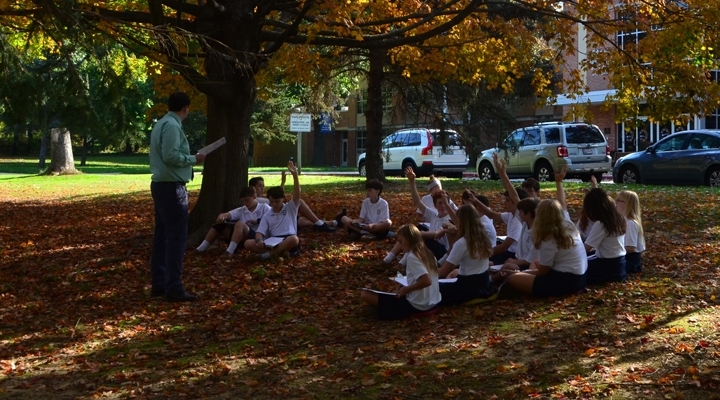 Operating under the auspices of the Archdiocese of Baltimore Department of Catholic Schools, Resurrection-St. Paul School follows the Course of Study developed by this educational entity. This curriculum meets and exceeds the curriculum requirements for the Maryland State Department of Education. The Archdiocese of Baltimore periodically reviews and updates curriculum. Please read the Archdiocesan Statement on Curriculum Revisions that explains the process and the value of these periodic updates. Resurrection-St. Paul School is able to accommodate many students with diagnosed physical and/or learning differences. Differentiated instruction along with multi-sensory learning (visual, auditory, kinesthetic and tactile) strategies allow most students to access the curriculum. Each student's needs differ and a pre-admittance conference is recommended with members of the administrative team to determine, on a case-by-case basis, whether or not Resurrection-St. Paul School can provide the best learning environment for the student. © 2019 Resurrection-St. Paul School.